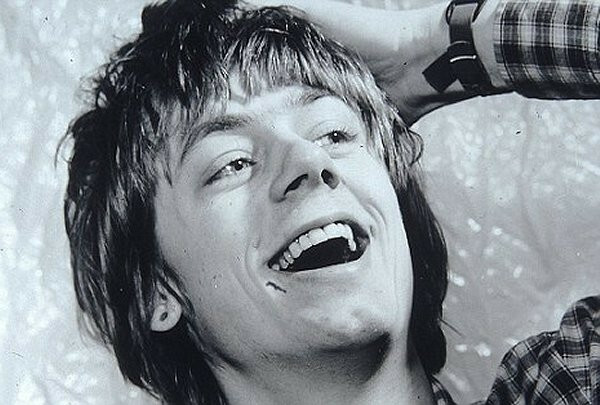 In the 70s and 80s, the English comedian Graham Fellows made a few novelty records as Jilted John, a lovelorn, embittered young man who mostly sang about his girlfriend leaving him. The only album he put out under this name, True Love Stories, was, interestingly enough, produced by Martin Hannett, here using his pseudonym Martin Zero, and the lead single, eponymously named, actually climbed rather high on the charts and led to an appearance on Top of the Pops. But, honestly—and to the surprise of no one—the whole thing gets a little tired after a while. It's the 7-inch that followed "Jilted," which was credited to Gordon the Moron, the antagonist in the latter track, that I find more interesting and appealing. Pure bizarro lo-fi power pop that literally serves as an Ariel Pink template.